Spring 2014 Subbing Plans | Mezashite! Now that you mentioned it, I bet I’m wrong, but I noticed that between Thursday 12:00am and Friday 3:00am is a good moment to bring good animes. Let’s just remember that Naruto, Pokémon and Aikatsu airs on the same day (Thursday) on TV Tokyo. Kyoukai no Kanata were Thursday 12:30am. Sakura Trick were friday after midnight…I don’t know if they saw something special at this period, but we’ll have to play according to their rules, right? Well, I hope that these two new ones will be good to compensate Aikatsu’s delay. I’ll bookmark these ones onto my spring agenda. So…a BIG Good luck to you all! Does this mean Aikatsu will only be delayed and not completely dropped? Noooooo! Damn damn damn! Why is Aikatsu always delayed!!! Those animes didn’t even start and I already hate them!!! Damn damn damn!!! I want my dose of Aikatsu on Fridays!!! 12 more weeks with Aikatsu being in last place!!! Why is it always like that!!! Why can’t you pick NORMAL shows that don’t delay Aikatsu!!! that’s because I want my Aikatsu! And I hate yuri! As long as both shows will worth subbing for you guys and worth watching for me, I have no problem with delays in my weekly dose of Mizuki. I’ll watch “Akuma no Riddle”, for sure! So just because you’re the only responsible for this great show you don’t care about it and you can disappoint us all Aikatsu fans and delay it while shows that already have other fansubbers and you’re just one of many you take this earlier… This totally makes no sense at all!!! We are all trusting you to bring our Aikatsu subs and you just break our trust while other animes that have more subs and less responsibility for being the only subbing group you prioritize it just to be one of many! I loved the subs you did in S1 but now you just disappoint all us Aikatsu fans! Please return to normal! please escape this yuri mania and return to idol mania!!! even if they do it for free doesn’t mean they have to just take all the work and sub all the shows that must air on thursday! please just tell this is April Fools joke! Please! Please!!!!!!!!!!!!!! I hope this is an Aprils Fool. Do you imagine all those idol hungry fans walking like zombies in the streets and starving ’till Summer? Mezashite guys… I hope this is a joke… the idol hungry horde may find you!!! >Sorry to say, but it just isn’t worth it to prioritize a show like this, especially since we’re the only subbers anyway. What is this I don’t even. Of course Aikatsu is worth prioritizing, and if you’re the only subs available, it’s all the more reason to do so. Well I’m not really interested in Akuma no Riddle but I’ll be sure to grab your Gochiusa release if you’re faster than EveTaku. MyAnimeList says Akuma no Riddle is coming out 4th April and raw is out already in anime sites like gogoanime so does it really airs on wednesdays and have to delay Aikatsu??? The ‘raw’ is a pre-air.. Thanks for picking up these shows, will be checking both of those out! Oh you. You had me for a while there. Had me worrying what I’d do with out my weekly idol activities. 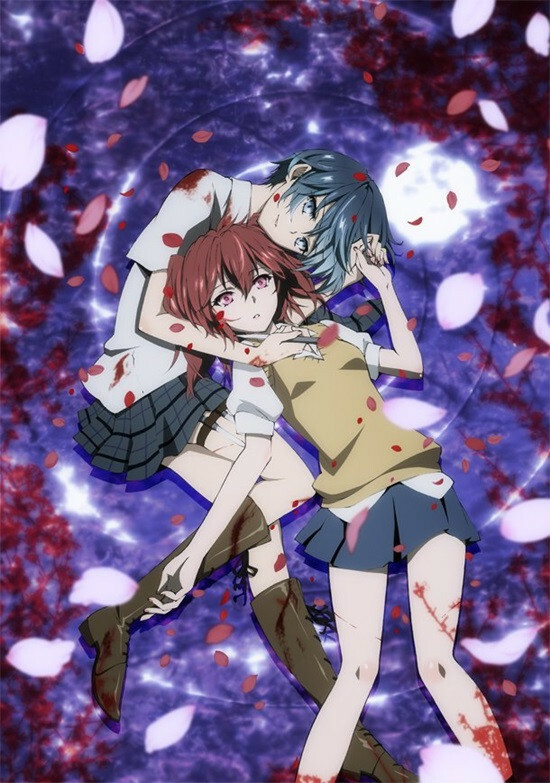 I’M DEFINITELY WATCHING AKUMA NO RIDDLE FROM YOU GUYS!!! Damn April Fools joke. If you will not be making wonderful subs of Akuma no Riddle and Gochuumon wa Usagi desu ka? then who will! What a bad April fools joke because we have no good subs for ANR.